Hello again everyone! Thank you to everyone on my Facebook and Twitter for the compliments about my lovely daughter, Avery. Her letter made me emotional, the episode made me emotional and then my fans made me emotional! Avery is my biggest love and best accomplishment in my life. I knew I did my job well when she told me she wrote her paper about how I’m her biggest role model. I’m very fortunate that I work for myself, it allows me to make myself very available to Avery in my working schedule. Of course sometimes it means making several calls while I’m with her, but it beats being stuck in an office from 9AM to 6PM where I’d never have her by my side. I’ve never been more overwhelmed with emotion than when Avery read her paper to me. Because I’m on television, I hear many opinions about me from fans of the show, tabloids and even from the other women in RHONY in the media. The only opinion that really matters most to me is Avery’s. Therefore, hearing how much she looks up to me and how proud she is of me makes me feel on top of the world! I am really honored to be able to share with you Avery’s full report below. Most people have significant friends or family members that make an impact on their life, and other people look up to singers, actors, politicians, or significant figures that make a difference in the world. Everyone has a role model that a person looks up to and strives to emulate. I am lucky to have several role models whom I respect and would want to be like. However, if I had to choose one person as my role model, it would be my mother. Her life story is so amazing, and she is a true example of a person who started with nothing. Over the years I have learned more about her life, and I could not think of a better person whom I hope to be like. Despite not having a great childhood, she persevered and promised herself that she could have a better life when she was older. Her story inspires me to believe that one can achieve one’s dreams if he/she believes in oneself and remains optimistic. She wanted to be successful and make her own money, which is a lesson she always drills into my head. She is my role model because she became successful on her own, and she is a great mother and wife. My mother’s scaring childhood and her determination to get past it and succeed helped shape her into the woman she became today. She grew up in upstate New York and was the eldest of four kids. She took care of her sisters and brother, cleaned the house, cooked for the family, sewed her own clothes, did the dishes, and was always there to help her mom. Her family lived in Staatsburg, which my mother likes to call the middle of nowhere, and she tells me that the woods were her backyard. Her father was a hunter, and he was an engineer for IBM. She had her own room unlike her siblings who shared rooms, and she read constantly because it was her way to escape from her life. Her childhood was filled with horrible memories of her father and of her family running from him. Her father was an alcoholic who was physically and emotionally abusive to everyone in the household, especially to my grandmother. He would usually come home late after work, and my mom describes that my grandfather had two sides two him: the nice loving daddy side and the monster. Every night there would be tension in the house waiting for my grandfather to come home to see which side he would be that night. My mom describes her home as a battlefield. Her mother always told my mom the importance to make one’s own money, so my mom could never be placed in this situation like my grandmother was. If my mother was unhappy in her marriage, she could always leave and not be trapped because she could financially support herself. She always knew there was a better life waiting for her, and she intended on achieving it. She did not let her tortured childhood affect her future; however, her childhood made her very driven to succeed in life. My mother put herself through college at FIT in New York City and received a bachelor’s degree in business. She was the only one from her family to finish college and to make a good life for herself. looking to sell it in different spas and Sephora. She has proven to me that one is never too old to start another career and to try new business ideas. My mother is now starting from the ground up, and it is exciting to watch her succeed. She is so intelligent and is always thinking two steps ahead for business. I hope to learn all her secrets one day, and how she is able to handle multi-businesses. I wish that I will become half as good at business as my mother. In addition to being a great business woman, my mom is also a great mother and wife. She is the first person I would approach when needed, and I know no matter what it is she will comfort me and tell me everything will be okay. My mother is always there to listen to me, and I feel that our mother daughter relationship is very rare and special. We usually have weekly sessions when she will lie down with me in my bed, and we just talk about school, friends, things that are bothering me, etc. I know my mother will do anything for me to help me succeed in life and only wants the best for me. She values and respects my opinion dearly and is always open to my own business suggestions. For example, I gave her the idea for her to start doing bottle signings for her pinot grigio, which has now become a hit. She has been to different states, and there are people lining out the store’s doors to meet her. She takes care of my dad and me before taking care of herself. She plans my doctors’ visits and reminds my dad to go to his before she would ever think of going to hers. She does everything for this family, and I never really express how much I am thankful for her. Without her, our family would be lost. She is beautiful, intelligent, loving, and, to me, perfect. Her story brings me hope that one can achieve anything despite one’s background and age. I love her, and I am so thankful that she is my mother. I love you mommy. How fabulous was Sonja’s burlesque party?!?! We had the best time! The fun started way before the party when Sonja, Avery and I went shopping for outfits. Avery really enjoys Sonja’s company, and it was such a fun store to go to! It was a perfect girl trip. We all tried on different things, and it was a lot of fun! I had really planned on wearing something more conservative to the party that I already had, but being in the store I found myself getting more into the spirit of Sonja’s burlesque party. So, with the help of Avery, we found a great bustier, lace leggings, and a short feather skirt I felt good in the ensemble and, most of all, my daughter gave me her approval! Sonja needs some fun and joy in her life and I’m so happy she threw this party. Her performance was fantastic! I wish they had shown the whole thing. I was so proud of her and you could really tell how free she was while performing! Hello everyone! For my next blog post I wanted to talk about last week’s episode and how happy I was to surprise Sonja! Looking back on the evening, I cannot believe I pulled that off! I had just gotten back from a long and exhausting trip to Morocco and only had a week to get everything together for Avery’s Sweet Sixteen. When it came time for yet ANOTHER party, I knew I needed some serious help. 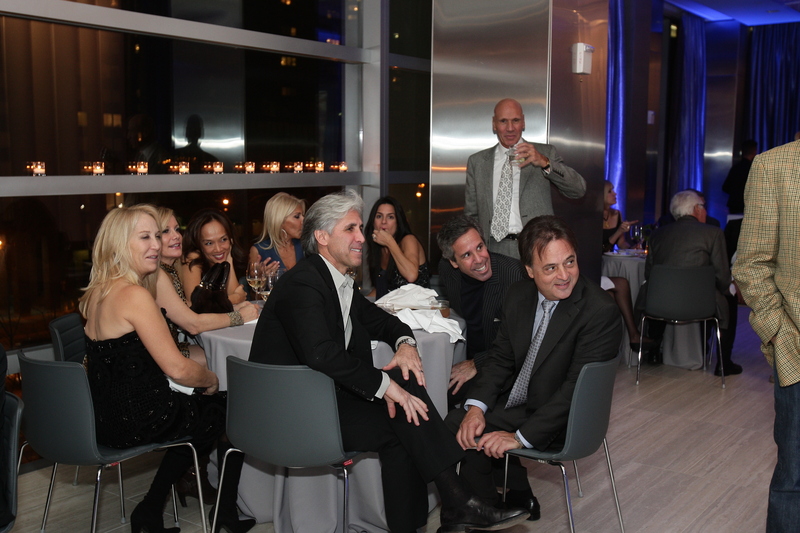 I worked with a fabulous party planner, Arthur Backal who is the party planner of NYC and throughout the states. I was so honored to have the chance to work with him, and WOW how amazing did the space look!? 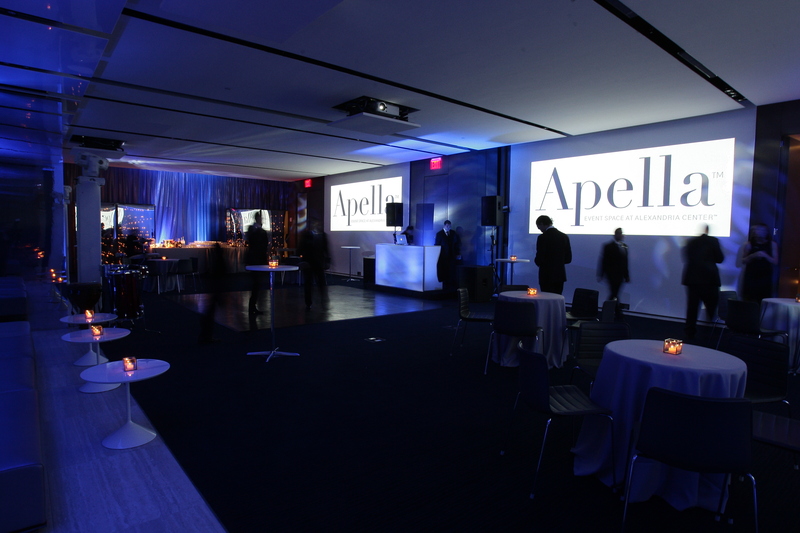 The party was held at Apella, located in the Alexandria Center for Life Science, which overlooked the East River. It was so hip, beautiful and had breathtaking views. How could you go wrong having a party in that space?! 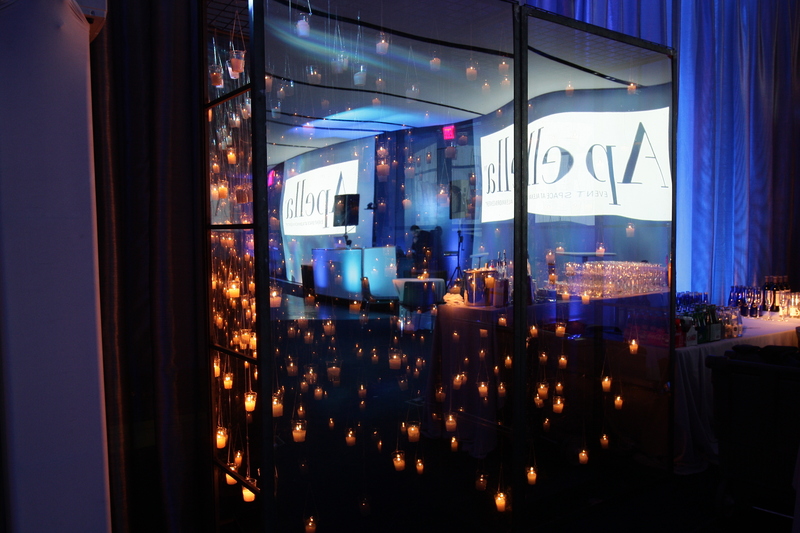 The décor was also very cool; the room was dark with purple lighting, which transformed the room into a chic night club. 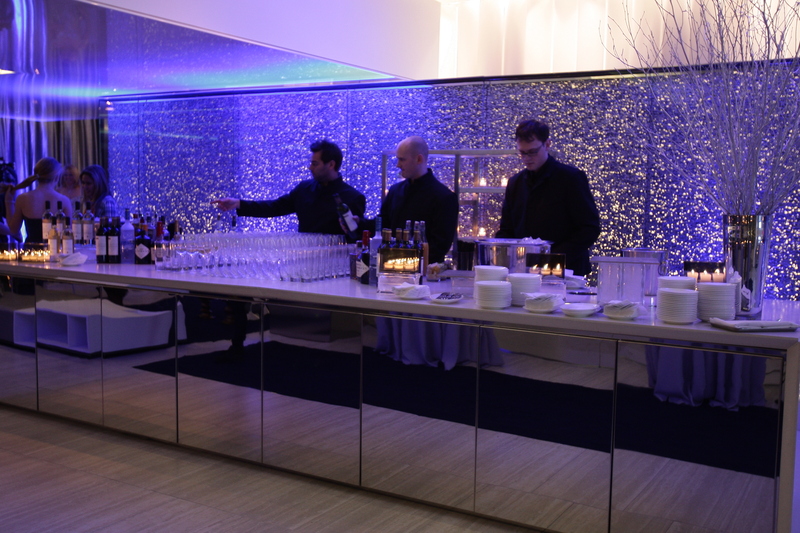 The room was illuminated with candles and lounge chairs for everyone to relax and socialize on. It was a very casual yet fun energy. 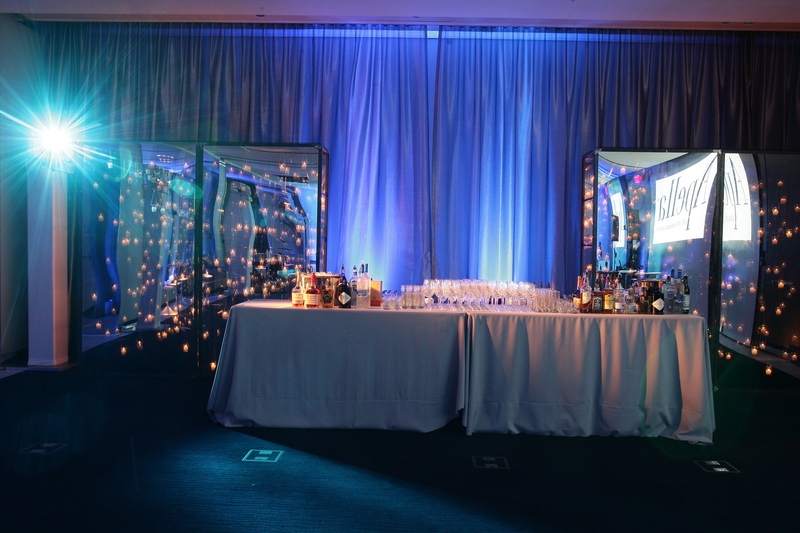 In another room, we had more music playing and a dance floor so everyone could dance and have a blast!! This is the room where Mario and I showed Sonja the slideshow of us over the years. If you want to view all of those old photos visit my Facebook page. It’s crazy to think how long Sonja and I have known each other and how far we have come. It was a very sentimental moment for us. 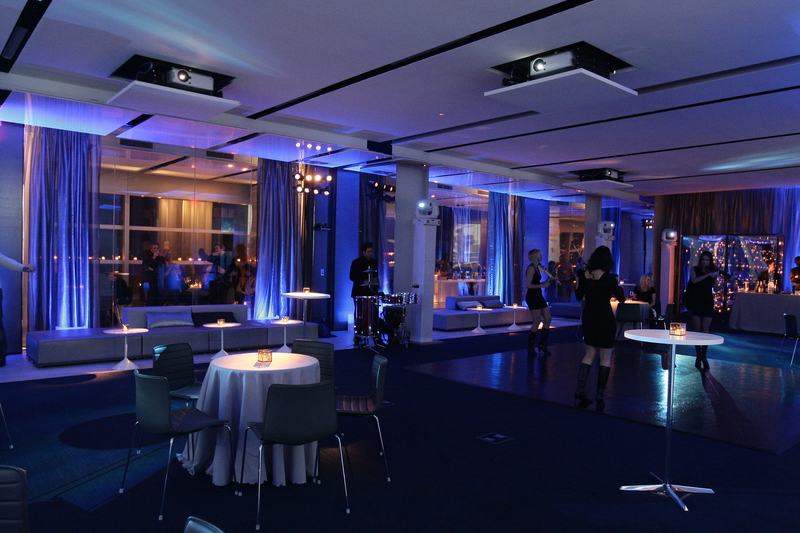 My favorite part of the room was of course the silver circular hanging chairs! So fun to sit in and take pictures on. We all had a blast trying those out. Before Sonja came to the party, I knew I wanted us to match! I made sure to tell Sonja to dress in silver sequins. I loved the fact that the two birthday girls were glammed up in sparkles! I thought that was a great touch. Just watching this evening again made me tear up. Regardless, of the hard work it took to put the party together, I’m so happy I did. Nothing gave me more joy than seeing Sonja’s eyes tear up at the surprise. I had all her special friends line up as she walked in to present a white rose to her. This was the moment she realized it was a party for her as well; all the people who lined up were exclusively Sonja’s friends, not mine. She was really touched and felt so loved to be surrounded by everyone who supports her. I really became overwhelmed with emotion when I saw how much it meant to her. Throwing a party for Sonja meant so much more to me than just throwing one for myself. I could not have found a better way to celebrate my birthday other than to share it with Sonja. 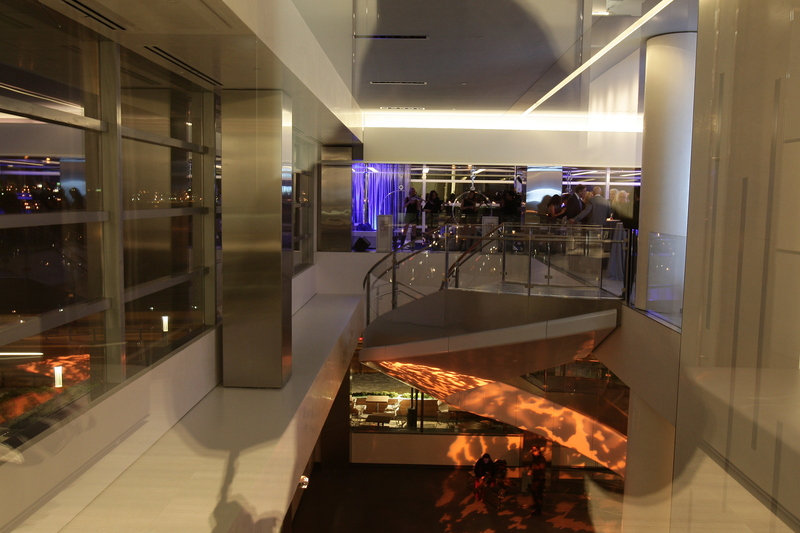 It was a beautiful party, great food, atmosphere and energy. I hope you enjoy all of the photos below!